Happy Monday, Friends. I hope you are well! 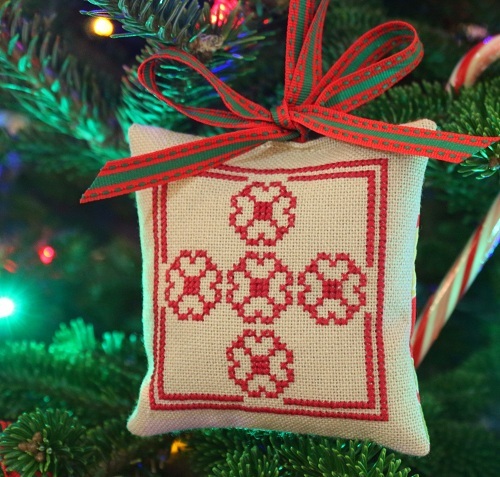 On this fifth day of Christmas, I am happy to show you my Five Golden Rings ornament that I completed over Christmas. Fabric for Six Geese A Laying is all prepped, and ready for me to stitch the first stitch. Our recap series is quickly coming to an end. 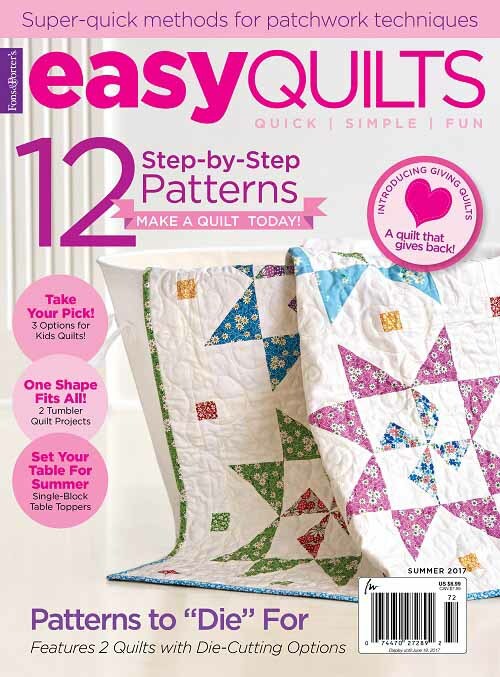 Today, I am taking us through my 2013 featured projects in Quilter’s World. 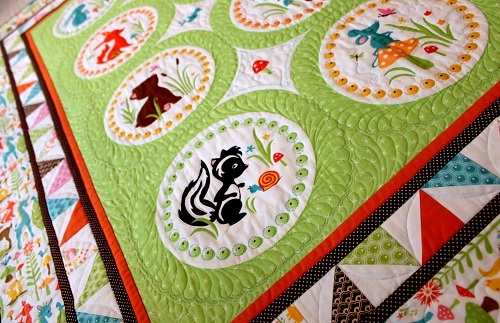 I hope you have liked seeing these quilts again. Meanwhile, I hope you will enjoy the rest of your day. Maybe one or two more recap posts, and I will get to posting about my residual 2013 stuff to get us started on 2014! 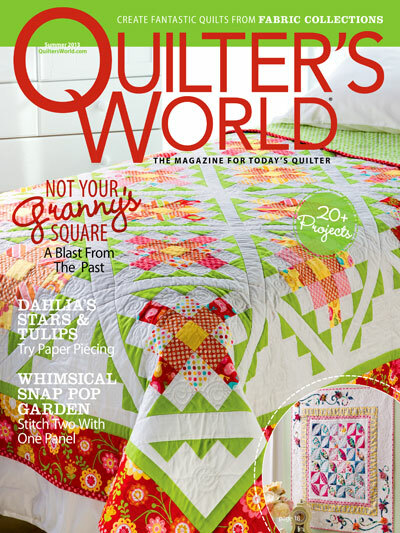 This entry was posted in Needlework, Quilting, Quilts & Projects: Published and tagged Quilter's World 2013, Wendy Sheppard Designs. Bookmark the permalink. I like all of these. Elephant Walk is so cute! 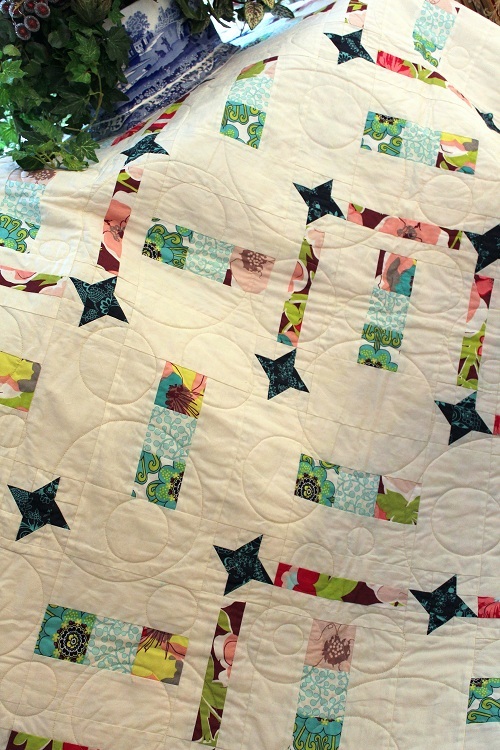 Elephant Walk… I am in love! Actually I am in love with all of them! It’s always nice to see “old friends” again. You do such nice work. I love the five rings!!! You will have them finished in no time at all. Yes, Elephant Walk was one of my favorites, too. But all of this recapping is making my head spin. 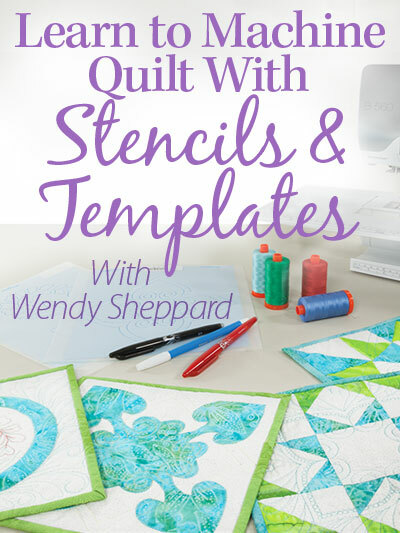 Wendy, just how many quilts did you make last year? 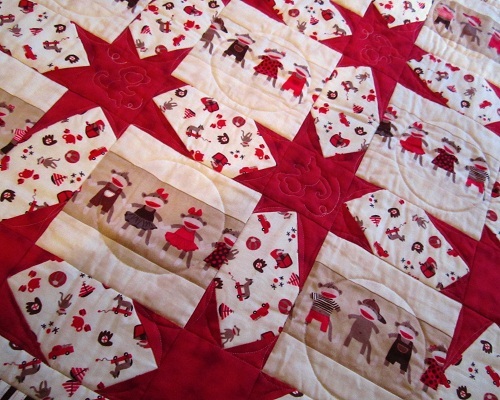 I started one in April of 2013 that I am still working on the applique medallion and a couple more pieced blocks. 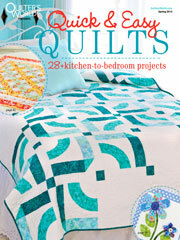 I am nowhere near even thinking about quilting it yet. 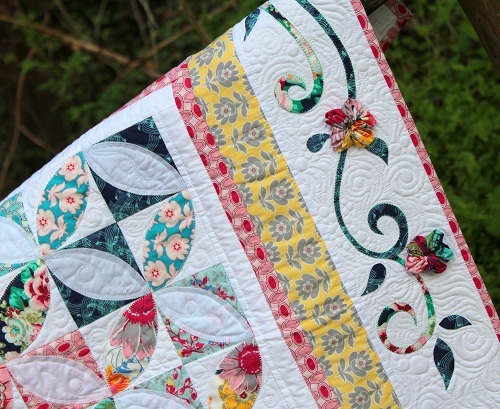 So looking at these photos of all of these gorgeous quilts, it just blows me away that you completed them not within a lifetime, but within a single YEAR. 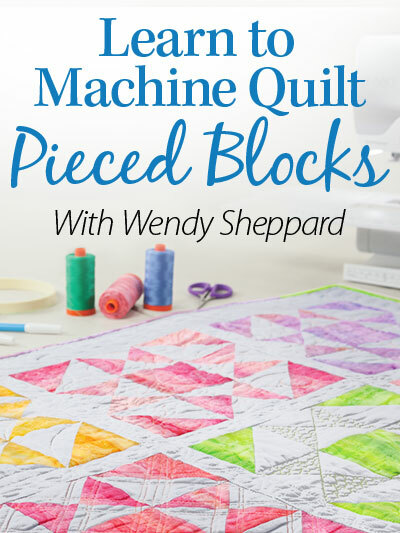 Please tell me that you have a complete household staff, nannies, shoemaker’s elves, house brownies, and fairy godmothers to help you pull this off so I won’t feel so woefully inadequate… ;-) Just kidding. Congratulations and best wishes for the new year! 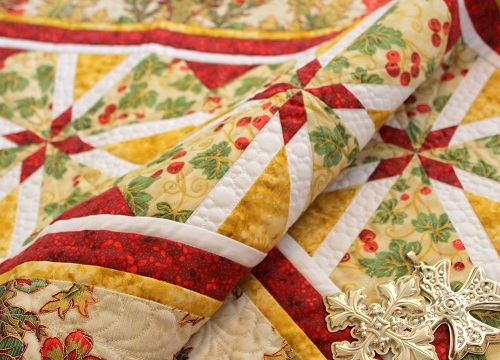 All your work is beautiful but I especially like your Five Golden Rings ornament and the Christmas Cheer table runner. Have a joyour New Year!! 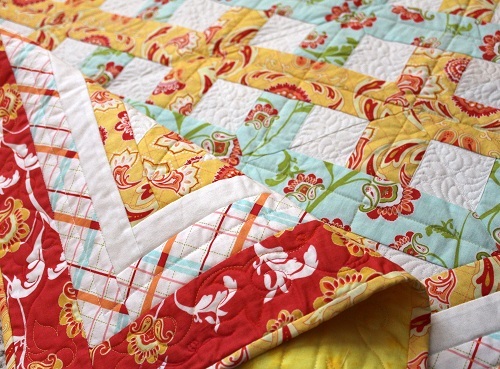 Really like “Garden Mist.” Not only is your quilting lovely, but I like the dimensional flowers in the border. Are you sure you’re not more than one person? Everything is beautiful!! Happy New Year Wendy!!! Happy New Year to you and yours, too! I don’t remember seeing Elephant Walk the first time around, but know I did see it if it was posted as I follow your blog daily. I like it, too! And like the others…how do you do it all?! Amazing dear friend, amazing. I think I have accomplished something great if I get the supper made and the dishwasher loaded in the same evening! I do so enjoy all your postings and am looking forward to see what all you have in store for us in 2014. Take care! 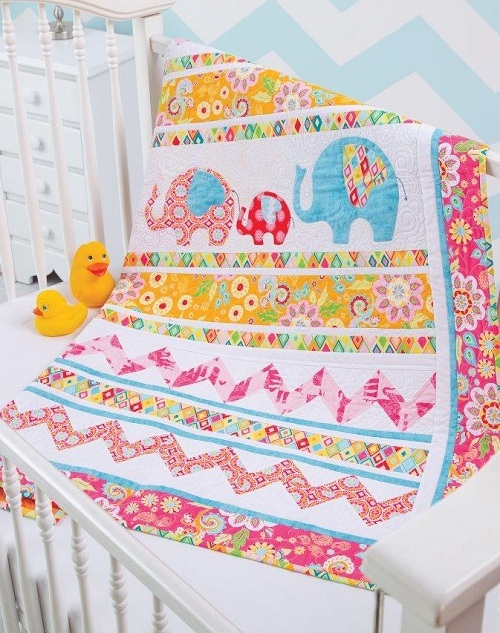 Even though I am not a fan of chevron patterns (though I know they’re super-popular now) or brighter colors, something about that elephant quilt appeals to me. 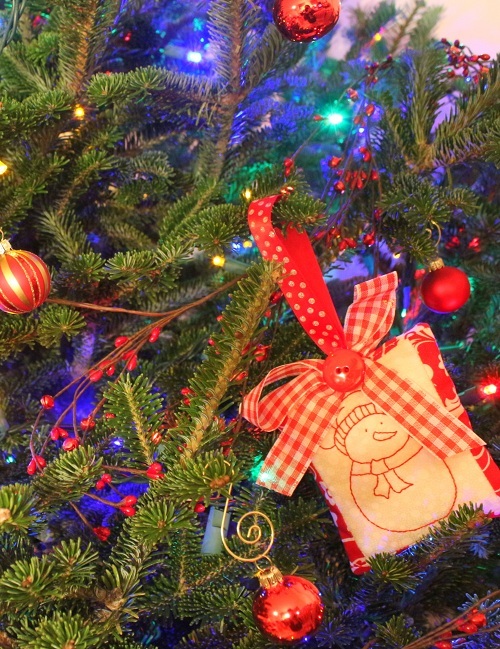 Your ornaments are cute! The five golden rings ornament is so sweet. 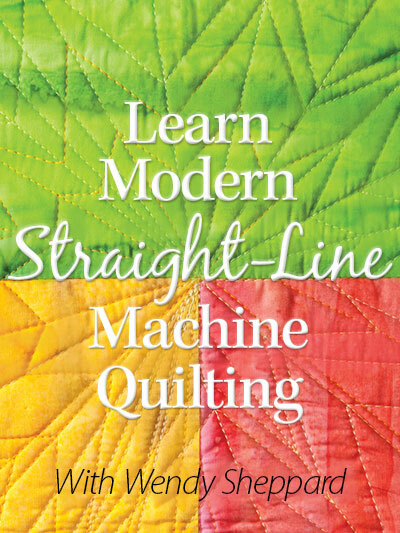 Did you design this or is there a pattern available? I would love to make a set for next year.